Charles Spurgeon, Millard Erickson, W.A. Criswell, and Carl Henry are just a few of the outstanding Baptist thinkers profiled in this profound collection of essays. 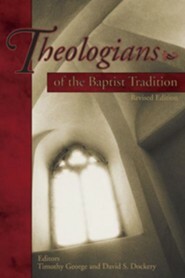 An invaluable resource for pastors, students, and teachers, it reviews theologians past and present, and ponders the future of Baptist theology. 414 pages, softcover from Broadman & Holman. 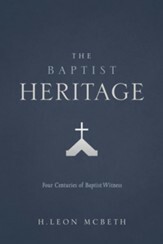 Baptists' Timothy George and David S. Dockery update and substantially reshape their classic book in an effort to preserve and discover the Baptists' “underappreciated contribution to Christianity's theological heritage.” George and Dockery have re-arranged this volume—considerably abbreviated from the seven-hundred page first edition—in light of the Southern Baptist identity controversy. I'm the author/artist and I want to review Theologians of the Baptist Tradition.